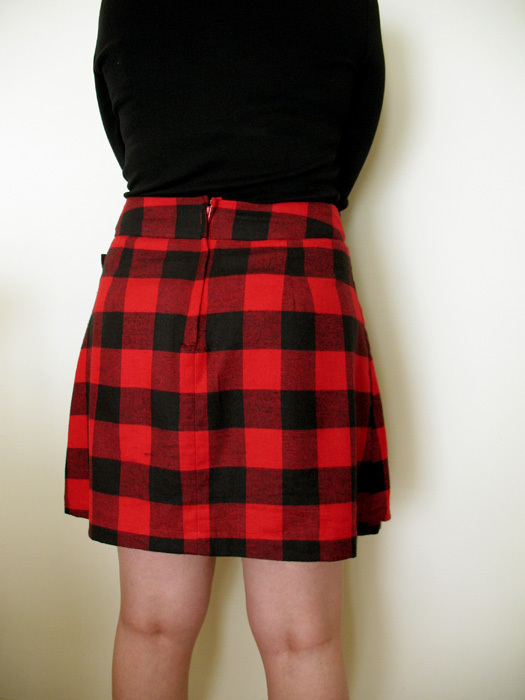 Hello and welcome back to my series Copycat Fashion! This latest piece is a personal one. 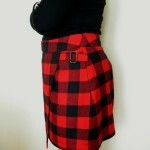 I have had this buffalo check plaid wrap skirt for years. I bought it at a Gap outlet for about $10-12 and it has served me well. 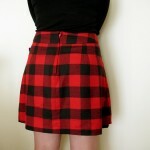 Of course, life comes in to changes my body, and next thing I know it the skirt doesn’t fit me anymore. 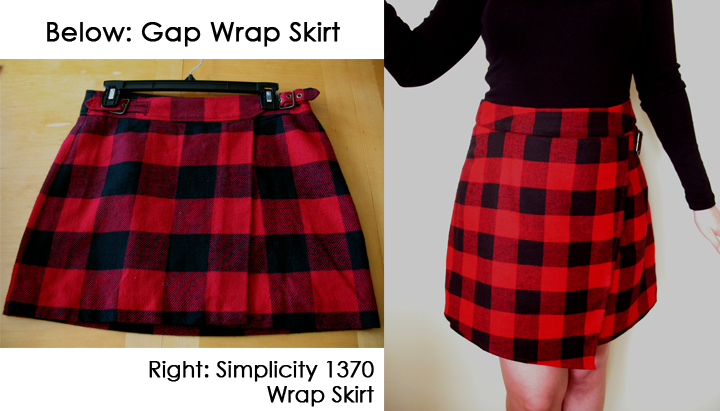 Fortunately, I found a Simplicity pattern pack with a wrap miniskirt design that resembled my beloved Gap skirt, so I decided to make a new version that works with my new figure. 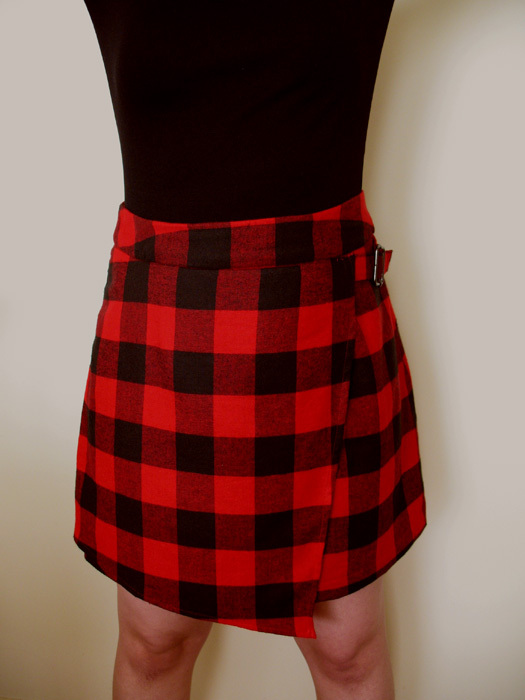 I won’t get into the particulars with the sewing process, but here is what the pattern pack looks like. 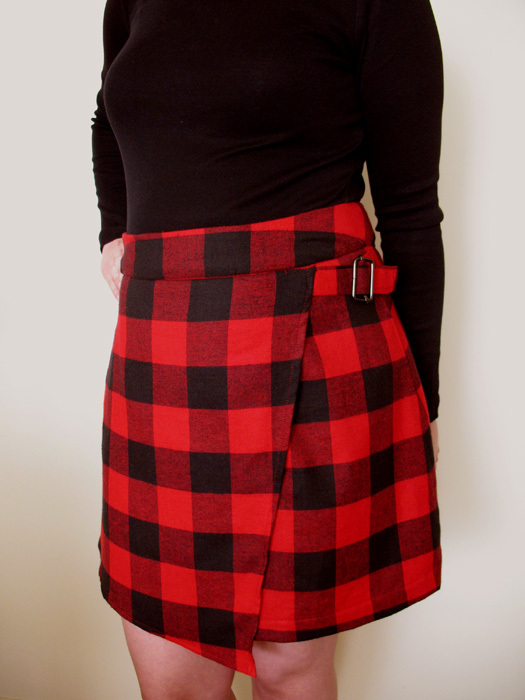 I published a post documenting my using this Simplicity pattern, so if you’re interested, click here to check it out for yourself. 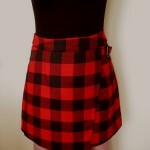 Anyway, I had something of a hunt for the buffalo check plaid fabric for this project. First, this is considered a fall fabric, so I had to wait till fall to find this at my local Joann’s fabric store (their coupons are amazing and I will always go there first for fabric 🙂 ). 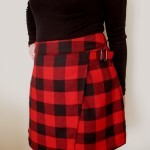 However, they had no buffalo check available despite having a WIDE selection of plaids on wool-blend fabrics. Weird, but okay. I did manage to find what I was looking for at Hobby Lobby though, and from there I embarked on my sewing project. 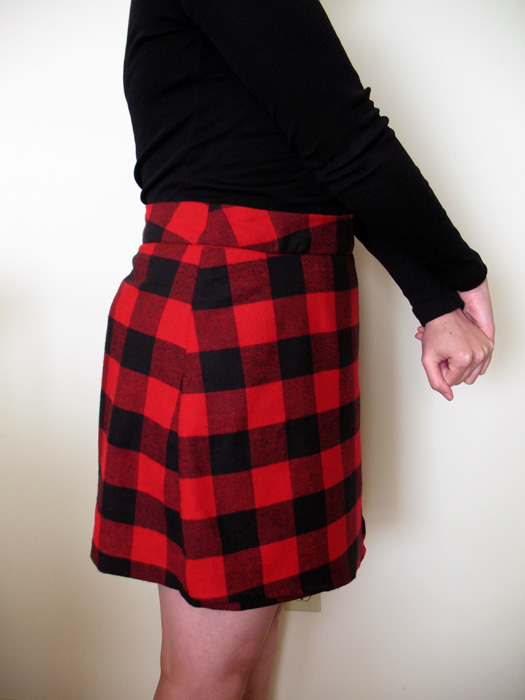 With this design, I added an inch to the hemline so that it wouldn’t be too short when sitting down. It was a good call; I like the length and where it sat on my waist, and I am particularly happy with the print lining up at the side seams (it was a past sewing issue with me). 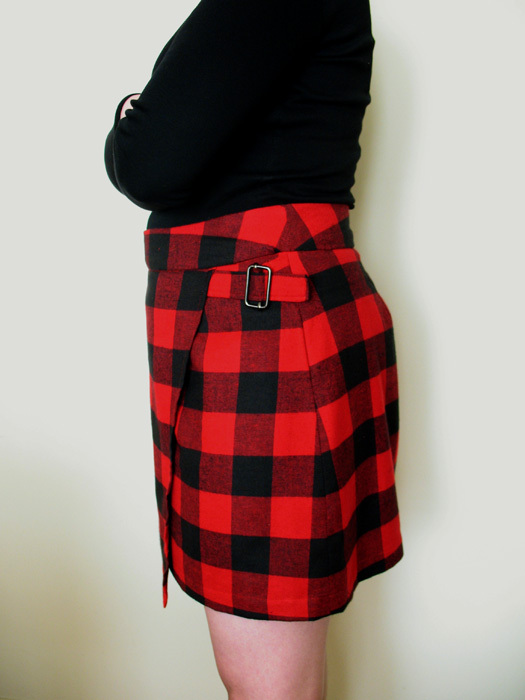 This was a hit for me and I’m glad I can have my buffalo check plaid in my fall fashion rotation.